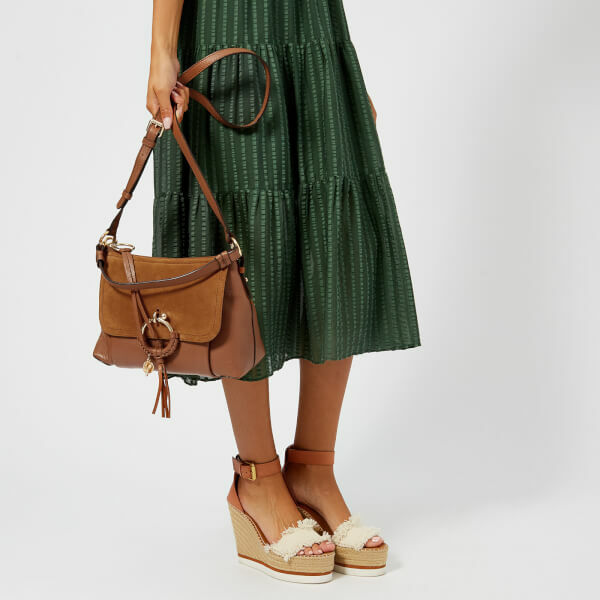 Crafted from supple, grainy leather, the women’s ‘Joan’ hobo bag from See By Chloé boasts a front flap in tonal suede. 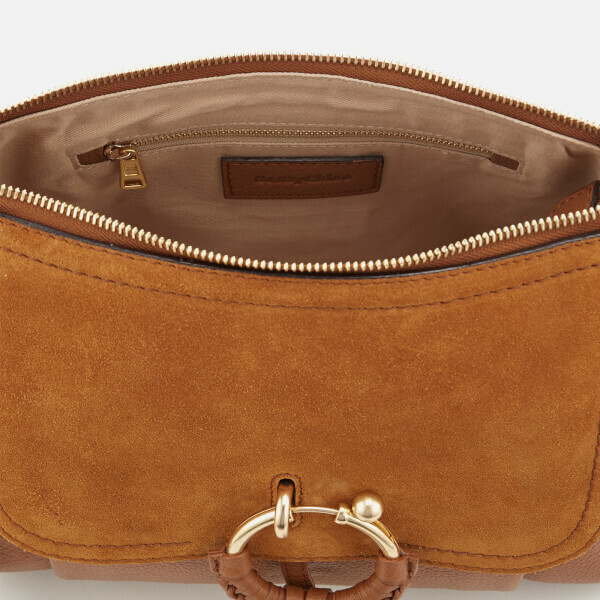 A zip top fastening opens to the bag’s fabric-lined main compartment, which houses multiple pockets within. 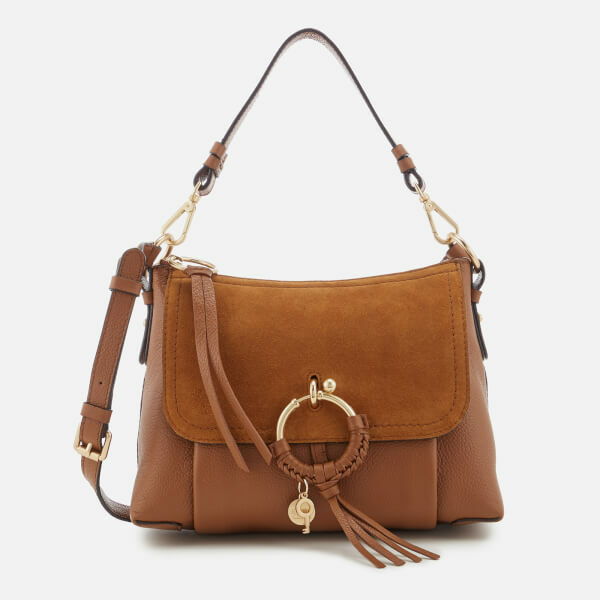 Accentuated with gold-tone hardware and statement zip pulls, the bag features a leather-trimmed spring-ring detail that serves as a latch securing the front exterior pocket. 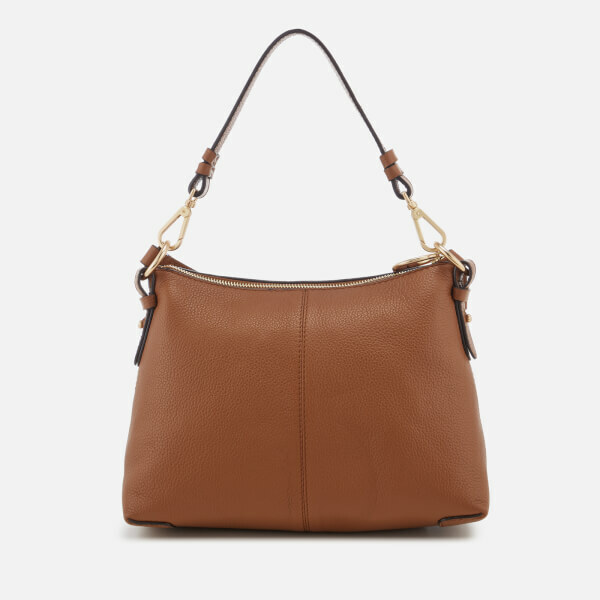 A removable top handle and a longer, adjustable cross body strap offer versatile styling options. 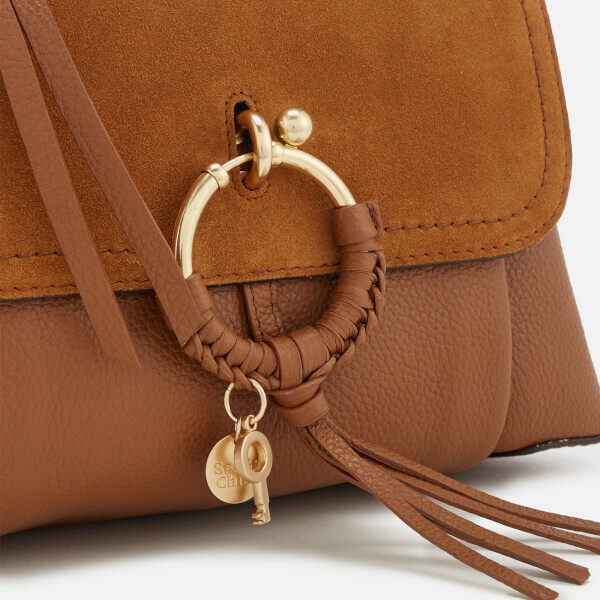 Tassel decorations and a logo-engraved coin and key charm add the finishing touches. Dimensions: H: 20cm x W: 27cm x D: 13cm. Handle Drop: 17cm. Strap Drop: 52cm.